Bad habits can ruin your plumbing. Don’t be a victim to bad plumbing habits. Hubb Plumbing has been serving the greater Snellville, GA area for over 30 years and we know a thing or two about plumbing. Avoid these harmful habits, and you’ll minimize common plumbing problems. One of the hardest habits for people to break is pouring grease (a lot of times bacon grease) down the drain in the kitchen. It is almost like trying to shove a whole pig down there. Grease will coagulate when it settles and really clog up your pipes. 2. Putting other things down the kitchen drain. 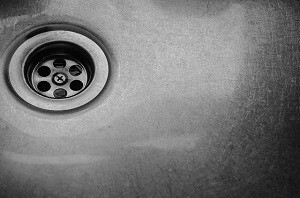 Even if you’re innocent of improper grease disposal, you may be guilty of being one of those people who think the garbage disposal is some kind of incinerator. Well, it’s not. It is simply a motor with two spinning teeth and really doesn’t do a whole lot to stop materials such as potato peels, flour, rice, and fibrous foods such as asparagus from clogging your drain. 3. Screwing, nailing or cutting into a wall with hidden plumbing pipes. Be sure to check behind your walls before you screw, nail, or cut anything into your walls. Hidden pipes can be behind those walls and make for a very inconvenient mistake! You can check for hidden pipes by looking at a blueprint of your home or a schematic. If you do not have access to any of that material or that sounds overwhelming, then leave it to the professionals. 4. Using too much drain cleaner. When used correctly and as directed on the right kind of drain clog, cleaners can be effective and safe for drains. When used recklessly, they can corrode some of the piping, and can actually make your clog worse! It’s also very inconvenient for the plumber who will eventually have to come clean the mess. 5. Leaving hoses connected during winter. This is a common plumbing mistake that is mostly caused by forgetfulness or laziness. If hoses are left out all year can lead to freezing the outdoor faucet or its water supply. It is also damaging to your hose. 6. Pouring chemicals (and other harmful material) into a septic system. Chemicals such as drain cleaner, chlorine, bleach, paint, and even anti-bacterial soaps can be very harmful for your septic tank. These chemicals kill the very important waste-eating bacteria in the septic tank, and the result is not pretty! 7. Using the toilet as a trash can. We saved the MOST common for last. We all pretty much know it is harmful but for some reason many of us do it anyway. We throw things down the toilet just expecting it to magically disappear. Out of sight-out of mind, right? Wrong. The 3-inch drain pipe that extends from your toilet extends the drain pipe for the entire house! In other words discarding improper materials down the toilet can ultimately stop up everything in the house. The only things that should be flushed is toilet paper and you-know-what. 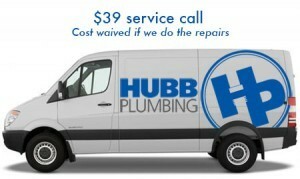 Call Hubb – your qualified plumber in Snellville. We can remedy any common plumbing problems you run into. Contact us today. Or just pick up the phone and give us a call!